While the Rockets were making their pitch to Carmelo Anthony, an absolutely ridiculous controversy, sparked by a Jeremy Lin tweet, seemed to take center stage. 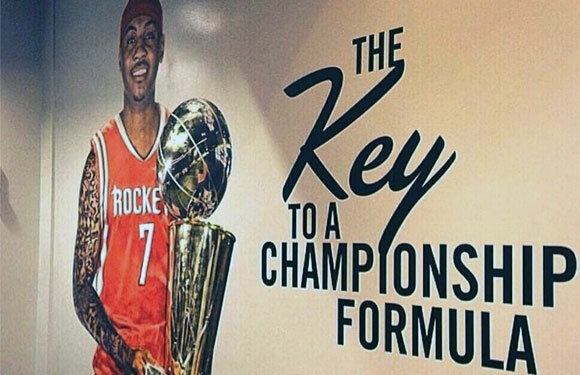 No doubt by now you’ve heard about the uproar being caused by Jeremy Lin’s fans on Wednesday after the Rockets, in their pitch to Carmelo Anthony, displayed artwork at the Toyota Center showing the superstar free agent in a Houston jersey wearing the number 7. Only one problem — that’s Jeremy Lin’s number, and he’s still with the Rockets. Lin himself turned to Twitter to express that he felt disrespected. Lin’s tweets sparked a controversy (even PTI got in on the act) when, in reality, this is business as usual in the NBA. Are the Rockets supposed to not depict a superstar free agent in the number he wants because their backup point guard currently has that number? Did the Dallas Mavericks refuse to display Melo in a Mavericks number 7 jersey because it might hurt Ricky Ledo‘s feelings? 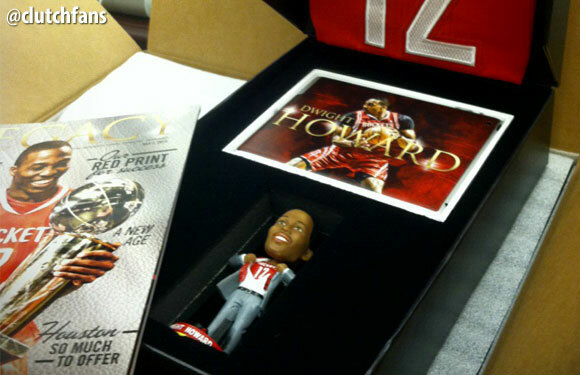 Our Rockets forum (and my twitter timeline) filled up, with many of the Jeremy Lin crazies rallying around images like this one, claiming that the organization is lying and that the Rockets never used Beverley’s number 12 on Howard artwork. 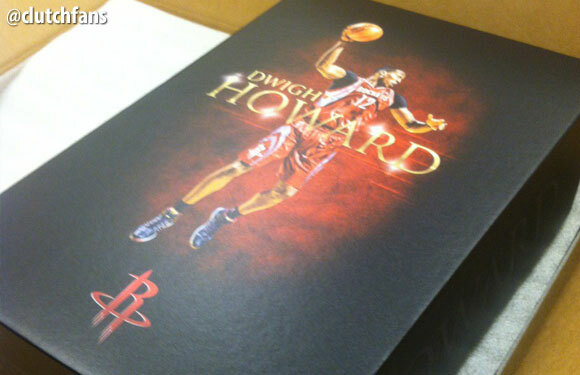 Of course, this image was after Dwight signed with the Rockets and his number was established. There was no pitch at the Toyota Center (it was in Los Angeles) and Morey is telling the truth. How do I know? Because I saw the actual pitch that was made to Howard last summer, and it used Beverley’s number 12. 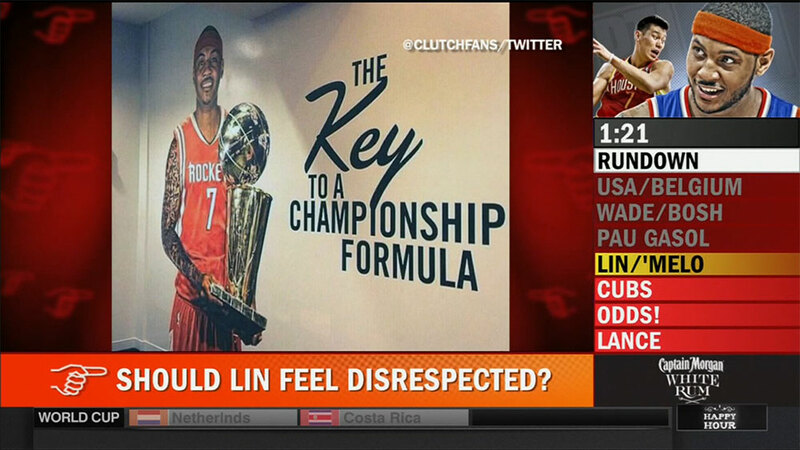 You would have to be living under a rock these past few months to not know that Jeremy Lin is going to be traded. We wrote about it as soon as the season ended and hammered it home again three weeks ago. The Rockets don’t have cap room and need to move Omer Asik and Jeremy Lin to create it.